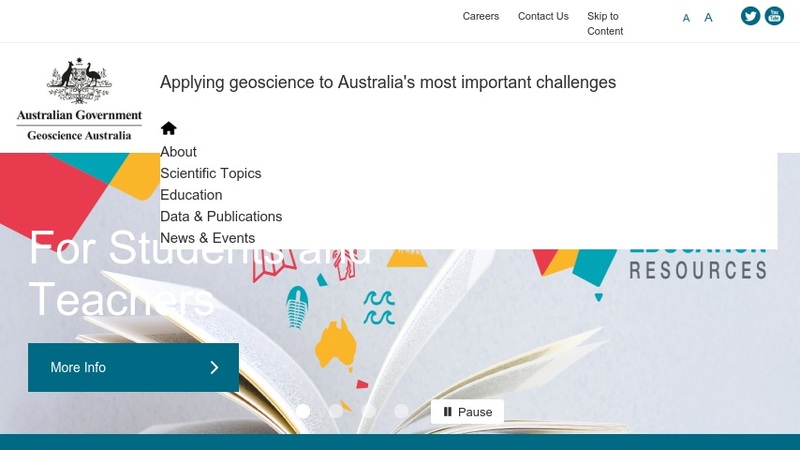 Provided by the Australian Government, Geoscience Australia is an expansive website featuring the research and geospatial information the agency provides for the benefit of economic, environmental, and social communities. Visitors can obtain Australian maps for a variety of geologic datasets including the geomagnetic fields, gravity surveys, and crustal elements. The online tools provide data of recent earthquakes and sunrise and sunset times. Students and teachers can find fun, educational online activities dealing with remote sensing, minerals, and the Australian geography. Anyone interested in Australia's geologic and geographic environment from its geodesy to its marine and coastal environments will want to visit this vast website.